For leaders, yes – I think change is uncomfortable, even painful at times. But I don’t agree that ALL change has to be uncomfortable for the majority. I’ve worked on business process reengineering projects – and a powerful way to enact change is to make it EASIER (and/or more valuable) to do things a new way than it is to continue to do them the old way. Not that it’s magic – it’s about leadership and valuing the right things. I agree that change does not have to be uncomfortable. It can be exciting and actually reassuring. I do think we have a habit of using new words, and then fitting our old paradigms into them. I am often in conversations where it is suggested “we should do x” and the immediate response is “yes, we already do x”. Well, we often do something that looks like x, but instead of exploring the new, we use the new word to describe the old idea. Very true! Though my gut feel is that by keeping the conversations about core beliefs and values, the words we use to describe what we’re doing matter less. I wonder if we focus too much on the “words.” Period. Continuous questioning is so very valuable – not only what are we doing and what do we call “it”, but are our actions having the desired results? If we’ve set up a website to communicate with parents, wanting to engage them more and get more info to them – is that actually happening? How often do we say “we should do x”, do it, but then never check to see if it’s working? If parents still don’t know what’s going on, even after the website is running, why not? Is it user friendly? Is it easy to find? Is it valuable information for the parents? Do they get their info somewhere else? My school is involved in a project to enhance student achievement and in order to do so, big changes are required. We recently spent a full day engaging in “data dialogue”, looking at the current data of our students achievement levels in order to help us understand and decide where our priorities should be with respect to our teaching. … “we should do x” and the immediate response is “yes, we already do x”…. Well, if we already do it, then why are we not seeing the results. I think that we are fearful or uncomfortable with change because it requires the admission that what we are doing isn’t necessarily working and perhaps self-preservation kicks in and we hang onto the notion that we are doing everything we possibly can already so it must be working. When low student levels are staring you in face, you have to admit, I need to change something. I also recognized that there are very different ideas of student success and philosophies surrounding education which makes having an entire staff on board with given changes challenging, not impossible, but a definite challenge. To me, along with discomfort, at various points in the day as we talked about changes, I felt anxiety, excitement, passion, hope, enthusiasm, defeat, fear, restlessness. The facilitator came to my group as we brainstormed goals for the school for the next 5 years and she said, “I challenge you to think big, to come up with something that is different and out of the box that you have been working in thus far.” She listened to us, she challenged us to go bigger and thus, move into that “uncomfortable” place. I think big change, real change, requires us to be out of our comfort zone, trying methods that we haven’t before. If we, as educators, want to elicit change in our students which will inevitably be uncomfortable for them, then we need to be willing to risk the discomfort ourselves. Thanks Sarah – great real-life example. I think we often spend time with students encouraging them to go to a place of discomfort, and push on their ideas, but we are not always the best models. It sounds like a really solid process that your school is going through. I think it is important that it is a process – that schools work together to envision what schools should / could look like and then commitments be made to turn vision to reality. So – I am curious – what is the “out-of-the-box” idea that you are hoping for at your school? I think Seth is bang on. I would also suggest that some even try fit the language of old paradigms into the new to make sense of change, at the expense of a true shift. For example, I have heard many say personalized=differentiated intruction. I wonder – what if we turned it into a compare/contrast discussion? Perhaps that would help people understand the changes by allowing them to see the similarities with something they already know (and the comfort they seek from that), but add some thought around what’s different as well? And why is it different? Agreed Johnny. Another phrase I hear is that personalized learning is “just good teaching.” Thus, if one is a good teacher, they are already engaged in personalized learning and no change is needed. “a powerful way to enact change is to make it EASIER (and/or more valuable)…If we build our systems and tools thoughtfully…clear on the direction we want to go, as well as clear on what’s valuable, change can seem almost “magical”…”. From a business sense I agree with the observation – in the corporate world you either get on the bus or get left behind – and goodness if you try to step in front of it! The difficulty in the education world that I know is that it is a much more loosely coupled system. Ultimately if you want change you must engage the stakeholders in the solution in such a way that it involves a deep commitment and almost a cultural shift from the status quo. Education is rife with well-thought strategies to make a teacher’s job simpler that only fall on crossed arms or grow dust on closet shelves. As per Seth Godin – new words do not change beliefs and behaviours. Personalized Learning is a concept that is a far cry from my grandson’s Kindergarten classroom, or my niece’s Chemistry 11 lab. Without the active engagement of those teachers 21st Century Learning and Personalized Learning will fall into the Year 2000 pit. Thanks for the push back! I think the strategy can be highly successful in education as well – the important factor being that any change has to be closely aligned to REAL needs. What I’m thinking about is the opportunity to create tools and supports from the real life, everyday perspective and deep understanding of a classroom. Is it easy to achieve? Nope. Is it possible though? You bet! I think that personalized learning and leveraging technologies to support it is less about change and more about turning our system inside out. In the distributed learning world of online K-12 education students are the leaders of their learning, much to the chagrin of timetables and parental custodial concerns. If we really mean to personalize learning and get rid of our industrial model of education it will have to be more than painful – it will be like Egypt – revolutionary. Okay, I absolutely agree that very fundamental paradigms must change. I also believe that there are some huge societal changes that have to happen. Children are not “blank slates” – and raising children is NOT about control. And an industrial model of schools DOES NOT serve our children. And I believe in the possibility of innovation. I choose to pursue change more like the cell phone – or the electric car. Innovation that starts on the fringe, so that it poses no threat to the status quo. And it resonates with the needs/dreams/desires of the majority. We CAN lead a different kind of revolution – for the good of our children, all of our children. We can build change on the foundation of active trust and meaningful relationships. And, in particular, when parents and teachers bond together for the good of the children we all care so much about, there will be nothing that can stand in our way. Thanks all for the dialogue! I suppose it’s important to know what uncomfortable means. I’m assuming the intent is that the change disrupts the way we’ve always done it. Not everything we currently do needs to be tossed in the personalized learning era. We can’t say what it is not until we clearly know what it is…I’m not sure we do (at least in BC) yet. There are parts of differentiation that are absolutely personalized…readiness? learning profile? personal interests? I know that doesn’t go deep enough, but it’s the thin edge of the wedge to bring people to a point where they are open to a new way of thinking. I once read (can’t remember where) that change is easy (or much easier) if you have a rational reason to change. Doctor puts you on notice…I think most of us would change in a hurry!! Maybe what we’re NOT doing is making a compelling enough case…maybe the masses can’t see the rational reason. Thanks Tom. There is a bit of an assumption, one I didn’t consider, that being uncomfortable is a negative. Being uncomfortable can be exciting, challenging, and give one great energy. I do think that one of the challenges we have is that we have a high performing system, with general satisfaction. It is not easy to make the case for (major) change, when we are doing fine. While some will argue we need “to blow up the box”, more and more I see this journey in smaller, thoughtful incriments. And while, we are often lamenting the speed and support around our current change – I see things in classes that were not happening a couple years ago – and are amazing examples of powerful, engaged learning. I’m afraid that substantive change in the public education system in BC is bound to be painful because of the entrenched positions taken by the stakeholders. Speaking of words, while everyone says they have the best interests of the students at heart there’s no agreement on what that actually means — everyone seems to insist that their perspective is the correct one. The role of the parent is a thorny one because it could actually work to exacerbate differences between students. Involved parents will become more involved, somewhat involved parents may become more involved, and parents who are not involved now will likely not become more involved. Parents are not the ones going to school. And while they have a supporting role to play, I’m not sure that the goal should be to “virtually” have them in the classroom. I believe that boundaries are important and that managing expectations is critical. Having said that, I due think change is due and I do support the call for a Commission to really, truly, honestly examine the public education system and try to map a course for a more collaborative, more effective, more productive paradigm — one that fits into the world we have today and the one we might expect tomorrow, not the one that existed ages ago. Nicely said Reema. I agree that all who speak about change, frame it around the wants / needs of students. I find listening and working with students around what they want to be the most powerful. Particularly by high school, they can clearly articulate how they learn, when they learn best and what they wan to learn. We too often forget their voice in the conversations around stakeholders. I also agree that a redefinition of parent enagement is tricky – of course we already have this now, with wide variances between schools and districts of parent engagement and an even wider range of views of what is appropriate and helpful to student learning. If we consider students our key stakeholders, that changes the perspective a bit. Their user-end experience is what really matters and although technology will someday make things easier for teachers to deliver that experience to students, for now that task is a challenge and a big change for most. Thanks David for turning the stakeholder conversation back to the students. I really hope people are not looking to make teaching easier through this evolution process we are clearly in right now in education. My small-steps with this, by teaching less from the front of the room and allowing students to have greater ownership of their own learning, has made it very different but not easier. What a wonderful dialogue! I agree that words exemplifying change are meaningless until there is some discomfort in transition. What I find slightly ironic is that we already have a framework from which we can build an education system for our children (Attributes and Skills of a BC Graduate). These competencies can be drivers for what our education system should be meant to achieve. We also have already heard from our learner-stakeholders in the Student Voice report, as well as the Premier’s Council for Technology report. We have enough evidence for an impetus for meaningful change; what we lack is political will. There are many great education models that have bravely ventured forward with a clear mission to make the learner the heart of their school. The Project School, Rhode Island Portfolio Competencies, and High Tech High are just some examples. Here is my blog response to what I foresee can be a possible model which enfranchises learners and includes all stakeholders in a meaningful learning process. Chris — thanks for your kind words and for not picking up on my spelling/grammatical errors! I think I am the only person in the universe sometimes who really LIKES change. I rewrite my curriculum every two years just because. When I start to feel stagnant, I chop my hair off. But there is hope. Look at mainstream media – more and more TV shows, songs, and movies are about societies “outcasts.” Now, being different is almost cool. Nerds can get chicks, football players can sing and dance. If you will notice, stories now start off with the character who is different, but he/she becomes more “mainstream” in the end. It’s a long way to go to acceptance and embracing differences, but it is a start. I wonder at the emerging anti-bullying/emotional wellness initiatives out there – wouldn’t most of these problems be better solved by creating a society, starting with an educational institution, that asks schools to fit each student, not each student to fit the school? Having grown up in a conformist environment, with a conformist educational system, I still feel like an outsider, even as an adult. I embrace who I am now, and I actually think I am pretty cool, but it’s still hard to be seen as the “different one.” An environment where change is accepted, and embraced. Hi Chris. Just watched a TEDx video of yours (Students Live! Real-world Learning at the 2010 Olympic/Paralympic) and really resonated with me and the work I am doing with disengaged youth who have dropped out of school. I now have a few more ideas to suggest to my students, so thanks. I use a learning model for my students which is highly personalised and allows students to follow their interests/passion. It is called Big Picture – http://www.bigpicture.org.au or USA http://www.bigpicture.org. 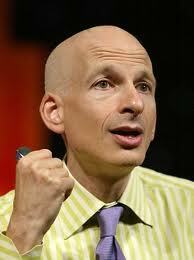 I am also a great fan of Seth Godin and his marketing/business ideas help me a great deal in my work with young people. And I am always uncomfortable as when your work is student focussed and not curriculum driven, the work is unpredictable, at times really messy but oh so rewarding. Thanks – nice to connect with you and also follow your blog. The messy work is often the best!